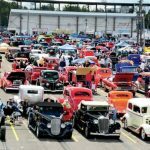 This weekend marks the 49th anniversary of the NSRA Street Rod Nationals. The Street Rod Nationals is currently the world’s largest Street Rod gathering, consistently drawing more than 10,000 cars each year. 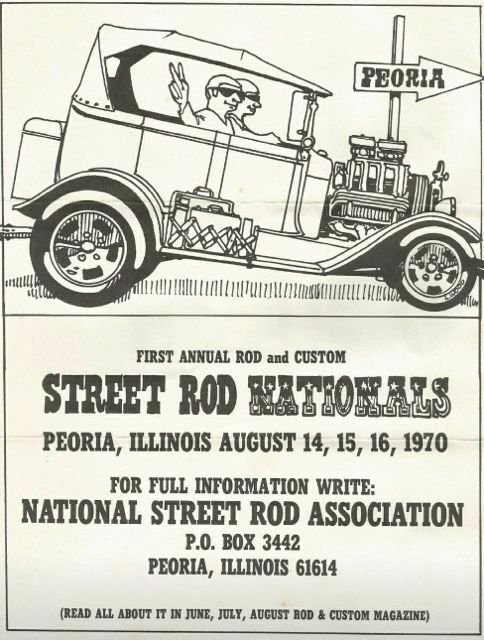 The inaugural Rod and Custom Nationals took place on August 14th-16th 1970 in Peoria, Illinois. Through the years, the Nationals has rotated between several cities. These cities ranged from Peoria, to Memphis, then Detroit, Tulsa, Columbus, and St. Paul, Minnesota. Since the early 1990s, with the exception of a few years, the event has been held in Louisville, Kentucky at the massive Kentucky State Fairgrounds. In addition to the 500 acre area that encompasses the outside portion of the show, there is also nearly 700,000 square feet of indoor space as well. This area is filled with vendors that provide products and services for every facet of the hobby. Over the last 48 years, some great stories have come out about the NSRA Street Rod Nationals. One of the best stories is about how it all started. The event was the brain-child of a couple of car guys working at Rod and Custom Magazine in 1970. 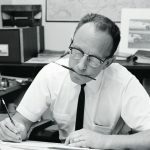 These individuals weren’t just magazine writers, they were gearheads whose exploits made them legends in the industry. 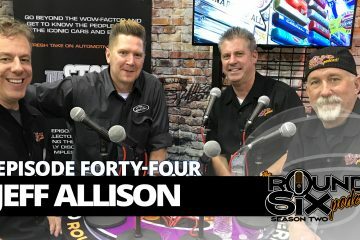 The idea of this event was first floated by Tom “Stroker McGurk” Medley, who convinced fellow writers LeRoi “Tex” Smith and Jim “Jake” Jacobs that their hobby needed a national show to connect hot rodders from all over the U.S. Up to this point, most car shows were regional, and the thought of hot rodders coming from every corner of the country to attend a single show was pretty radical. 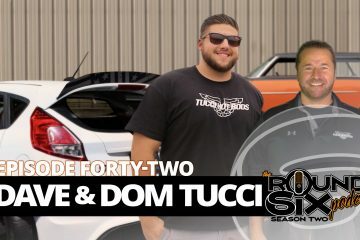 The Rod and Custom Nationals was born. After a bit of brainstorming, they decided on Peoria, Illinois because its location was almost at the center of the United States map. This area also had an active car club called the Slo-Pokes who were willing to host the event. They were able to secure an area just outside of town in Pittsfield, in a hay field called Timberline Farms. It took many trips from Los Angeles to Peoria to finally convince the City Council and the local government that they weren’t a bunch of hot rod hoodlums looking to wreak havoc on their town. This was 1970, and trying to convince a city that you want to bring thousands of people there for an event must have made all of them think of the logistical disaster of Woodstock just a year prior. Nobody wanted that kind of nightmare. There were still issues. The upper management at Peterson Publishing still had yet to give their blessing. The trio had already had made quite a bit of progress, so they pressed ahead. Their relatively small salaries didn’t give them much money to put on an event of that scale. 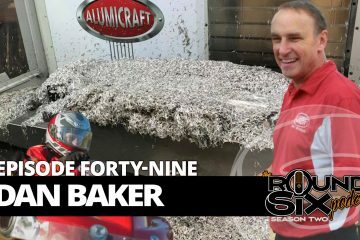 They scraped together some money with the help of Gary Magner of the Minnesota Street Rod Association. Using their resources, the R&C guys came up with clever ways to fund the pet project. Tex had freelanced some articles in Rod & Custom, so when he got the checks, he cashed them and handed the cash over to Tom. The resourceful bunch scraped up a little over $700 to fund the first event. The June ’70 issue of R&C was the first publication to promote the August event. With Tom’s writing expertise, he was lighting the fuse for the readers. “It’s official,” he wrote. “All you thousands of street-oriented car enthusiasts are finally going to have a Big Thing all your own. All Roads Lead to Peoria.” The buzz continued to build, boosted by the Tom’s excited editorial in July 1970 R&C issue. The days were counting down, and people were getting excited. The month of August finally came, and hot rodders from everywhere in the U.S. hopped in their rides and made the trek to Peoria. “Jake” Jacobs was no stranger to long-haul road trips, so he and Bud Bryan blasted off from Los Angeles in Jake’s newly constructed ’29 Model A panel truck. 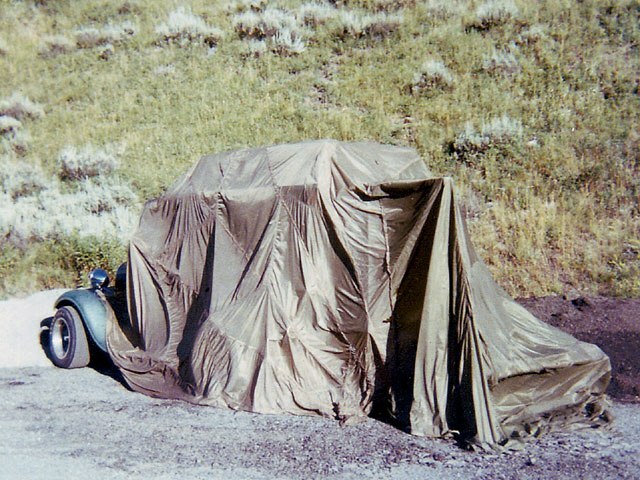 The two stopped at roadside diners for grub, slept outside in sleeping bags, and hit up every place they could along the way to buy old parts. Bud even bought an instrument cluster in Nebraska out of a Model A that turned out to have a hornet’s nest under the seat, and the subsequent stings from landed him in the hospital! This event was more than just a normal car show. It was an event that catered to the car enthusiast. It was the brain-child of gearheads, not city council people. Tom and his staff had an action-packed event planned for the attendees. They used the freshly mowed hayfield for the show ‘n’ shine. The adjacent parking lot was used to host the swap meet, the start point of the 20 plus mile driving rally, and birthplace of an event that has become a standard at nearly every major event today. “Some of the guys went out and swiped some traffic cones and set up a slalom course,” explained Tex. Tex and Tom circulated, through word of mouth, for anyone interested to head to the parking lot. A simple vehicle inspection was all it took for any registered participant to try their hand, and a map was handed out for the drivers to follow. “We called it a Streetkhana”, he said. 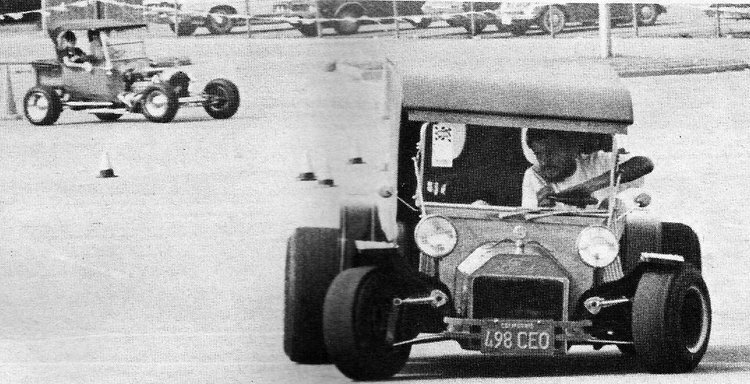 Yes, the early form of the Autocross event was born. They never knew it then, but they were years ahead of their time! The 1st Annual Rod & Custom Street Rod Nationals was a huge success. Nearly 600 pre-1949 street rods from all over the country made the show. This idea hatched from the creative minds of three of hot rod’s biggest legends soon became the largest hot rod show in the world. That’s one heck of a debut! Happy 49th Anniversary, and here’s to many more!! All images within this document were sourced from existing internet sites.